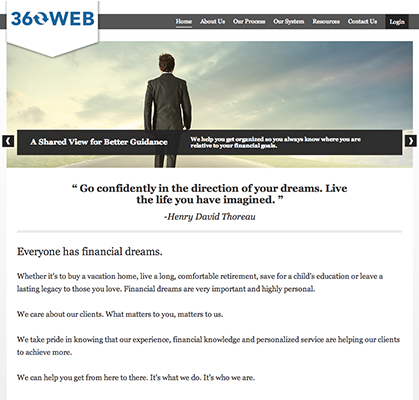 360WEB - An exclusive program for eMoney Advisors. An exclusive program for eMoney Advisors. 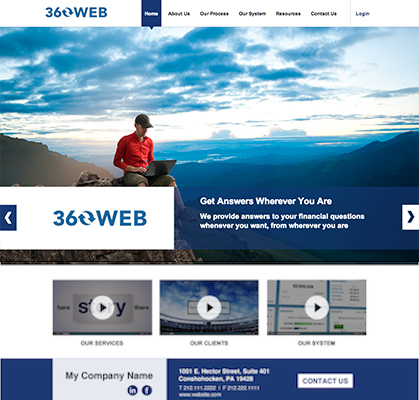 is a new breed of website program. Through a unique partnership between eMoney Advisor and Edulence, Advisor Marketing subscribers can now build a cutting-edge website leveraging the very best in eMoney exclusive content. 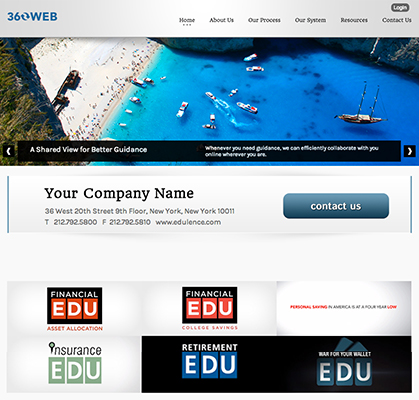 With design flexibility never before seen in a template website program, you will on-board your site in minutes and launch a new web presence with eMoney exclusive text, imagery and videos dynamically tailored to your practice and business focus. Edulence will train your team and support your online marketing initiatives every step of the way. A website with innovative design models and world-class imagery. Industry-approved content maintained by Edulence and eMoney. Freedom to modify your model and manage your content at any time. 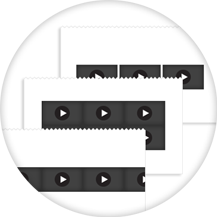 Integration with your Advisor Marketing for fully-branded videos. 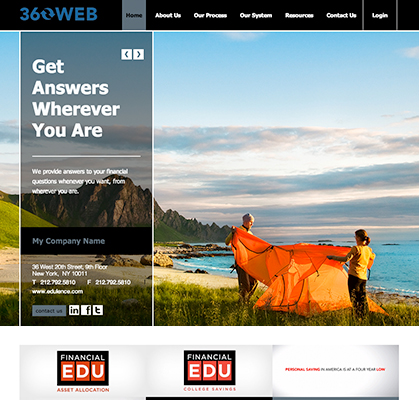 Industry-leading website hosting and support provided by Edulence. So, what exactly is the Sitebuilder? In a nutshell, the Sitebuilder is exactly what it sounds like. Edulence has designed a varied collection of website components so you can simply pick and choose how you would like your website to look and function. 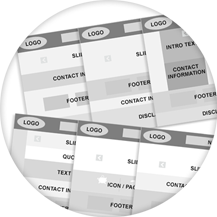 It’s provides the flexibility of a fully custom website with the low-cost and easy maintenance of a template website. And you can change your selections at any time to keep your web presence looking fresh. In short, there is nothing else like it and it’s available only to eMoney Advisors! And in moments you will have a quality website unique to you and loaded with the latest eMoney content available! Within 2 business days after you on-board, Edulence will deliver your draft website and schedule a live training session to walk through branding your eMoney videos and managing website content. 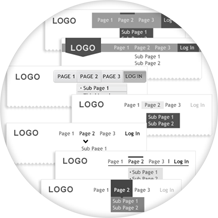 And the best part of is that only your selected layout is permanent after on-boarding. You can modify navigation, animation, images, videos and even colors at any time through the user-friendly online dashboard. Relevant websites with exclusive eMoney content. Build a unique website from a library of design components. Dynamic publishing of eMoney content keeps messaging current. Integration with Advisor Marketing branded videos. Content management controls, for quick and easy site updating. Custom 'Contact Us' submission form. Site storage, distribution, and analytics provided by Edulence. LIVE technical support during business hours. 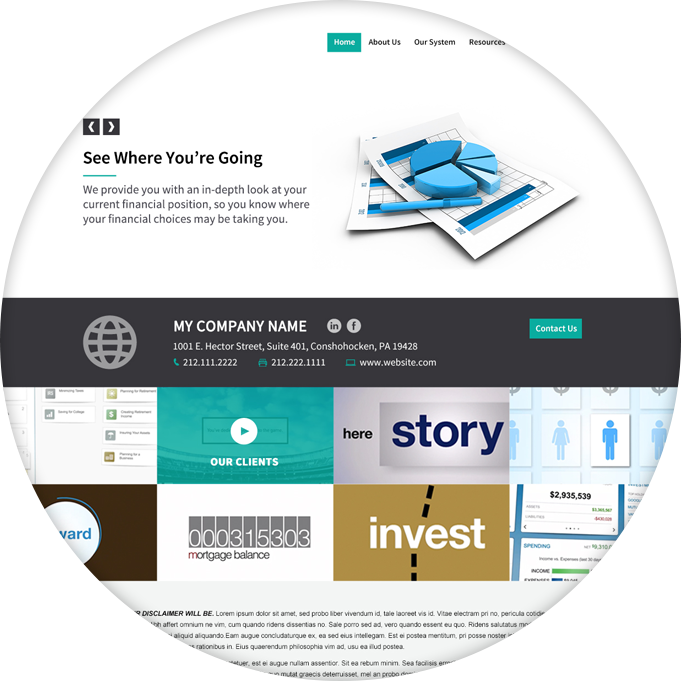 was developed to provide unique eMoney Advisor websites at template costs. Whether your specialty is Financial Planning or Investments, we offer models specifically designed for you. Pricing includes a fully on-boarded website with eMoney published content and industry-leading hosting, storage and content management provided by Edulence. 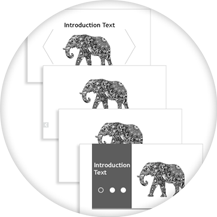 On-boarded website with uploaded logo and unique selections. Published content for default pages and eMoney exclusive content. Integration of branded videos via Advisor Marketing. Site delivery to client with self-help manual and support site. Live training on content management and admin dashboard. Online content management subscription with admin dashboard access and website hosting and storage. Maintenance and support provided by Edulence and included at no additional charge. 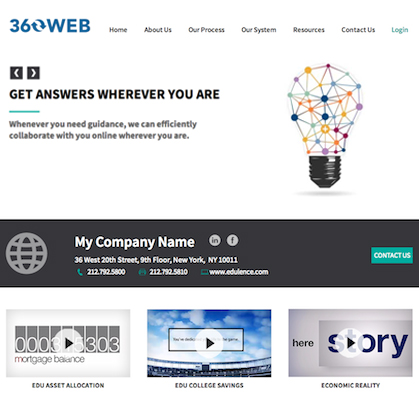 *360WEB on-boarding requires a valid eMoney Advisor license and active subscription to Advisor Marketing. All 360WEB fees are invoiced by and paid to Edulence directly. All hosting and support is provided by Edulence and is subject to our published Terms of Service.